Maghtab is a village in the north of the island. 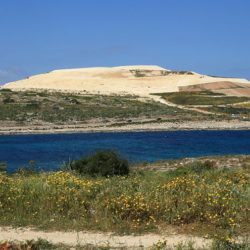 Maghtab is mostly known for Malta’s largest landfill, which has been closed since 2004. Rehabilitation of the closed landfill is in progress. Also, it hosts an acoustic mirror. Disclaimer - Property reference 351224. The information displayed about this property comprises a property advertisement. PropertyMarket.com.mt makes no warranty as to the accuracy or completeness of the advertisement or any linked or associated information. The information is provided and maintained by Frank Salt Real Estate.